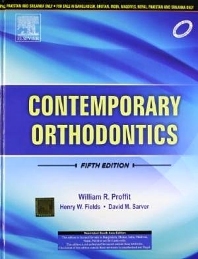 Now in full color, Contemporary Orthodontics, 5th Edition is a practical resource with a long tradition of excellence. Line drawings and more than 1,000 new color images illustrate concepts more clearly than ever. This book includes detailed information on diagnosis, treatment planning concepts, related problems or controversies, and current treatment procedures, including the role of orthodontics in comprehensive treatment of patients with multiple problems. Updated material on psychosocial problems in orthodontic treatment, oral function, and the relationship between injury and dental disease. Case studies throughout the text highlight the demand for orthodontic treatment, the etiology of orthodontic problems, and treatment planning for cleft lip and palate patients. SECTION V: TREATMENT IN PREADOLESCENT CHILDREN: WHAT IS DIFFERENT?